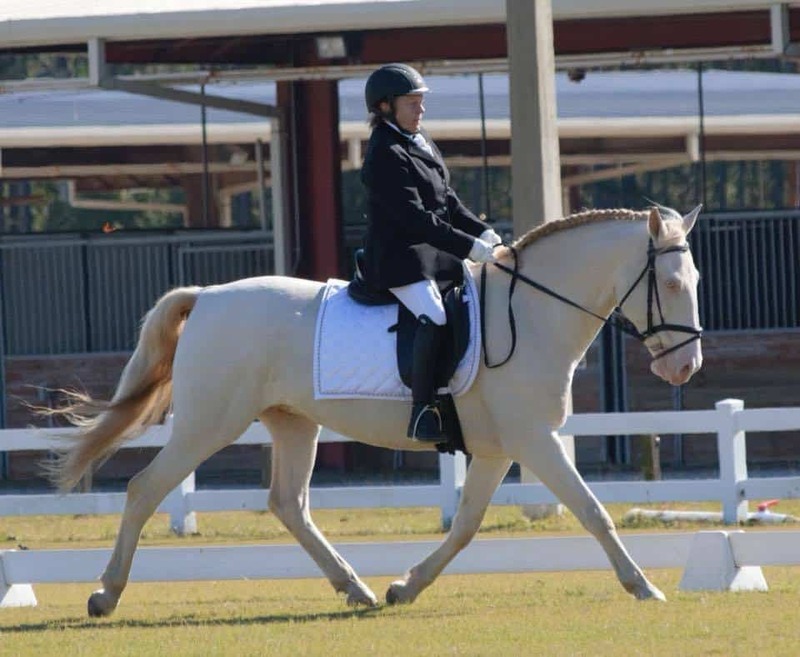 Mid-lifer and equestrian Patricia Elder enjoys competing her dressage horse. 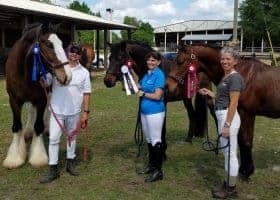 Riders from the Far Side of 40 - What do you love doing with your horses? It sneaks up on you. First, it’s only the little things, like the new guy at the feed store carrying your grain out and putting it in the truck for you… and calling you Ma’am. Or the breeches that you used to love now only come “low rise”. Whoever thought that was a good idea? And the moment you realize that your daughter is older than the models in your latest tack catalog, it all starts to spiral downward. When did we, the Riders from the Far Side of 40, become marginalized? And why? 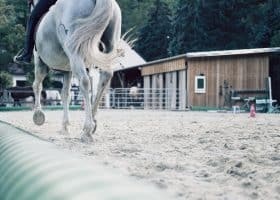 According to US Equestrian demographics, their average member has an annual income of $185,000, owns a home worth $600,000 and has an average net worth of $955,000. You can’t honestly tell me that those figures reflect the “average” 20-something equestrian! Fear not horse friends, you are not forgotten! This column is all about you. About us, actually, as I’m firmly planted in our demographic (way closer to 60 than 40). I’m here to celebrate our strengths, help find ways to overcome our (hardly measurable) weaknesses and have a lot of fun along the way. You can look forward to health care ideas from massage therapists and nutritionists (why should our horses get all the great care? ), riding clothes that aren’t created for a size 00 (that’s really a thing! ), and news and notes about fellow RotFS who are out there enjoying their horses, whether they can find an “age appropriate” model in their latest tack catalog or not. Among all of the great information, you’ll also find stories that will inspire you, make you laugh, and even make you cry (although I prefer the laughing, myself). This column isn’t about bashing. That includes the aforementioned riders who happen to wear a size 00, no bashing of any particular style of riding, tack, or apparel. This isn’t a place where we’re going to kvetch about how stiff our hips are, or how our instructors don’t understand us, or how good we “used to be”. While all of these may be genuine gripes, focusing on them doesn’t actually help (at least not after the first minute or two of feeling quite superior for still being able to ride with the deck so heavily stacked against us). Yup, we’re older, stiffer, often heavier, and almost always surrounded by younger riders and instructors, but we also have a lot to bring to the (s)table and bring it we shall. 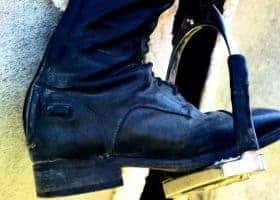 If you’re a mid-lifer or senior and you’re getting into riding for the first time, kudos to you. It takes real desire and determination to take up what can be a physically (and emotionally) challenging activity – especially if everyone around you keeps telling you in no uncertain terms that you’re completely insane – for your own good of course. For those of us who have ridden since we were younger, there are still challenges. Our bodies don’t bounce quite as well as they once did. We may have more responsibilities than we did in our carefree youth and while we may have more disposable income than we did in our 20s, we may also have family who would prefer we don’t spend it doing something that they don’t like, don’t understand, and don’t want to hear about. What sets us apart, other than the age on our driver’s license, is the fact that we’ve been there, done that, and did, in fact, get the tee shirt. We are “old enough” to realize that communities are stronger than individuals, and that wisdom gained from experience is often more useful than intelligence gained from a book. So, if you are one of us, the intrepid Riders from the Far Side [of 40] – tighten up your girth, my friend – it’s going to be quite a ride. 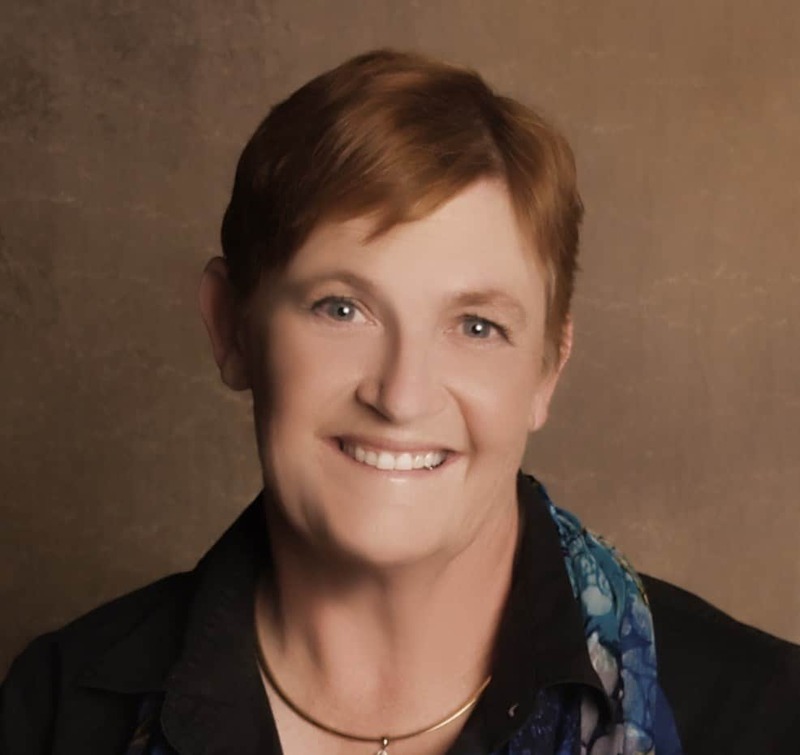 Penny Hawes is a life coach from Monroe, VA, who has taught hundreds of people to ride on two continents. 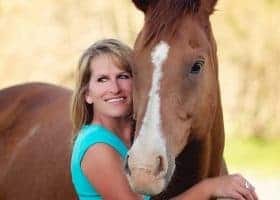 She specializes in helping re-riders confidently rekindle their internal fervor for equestrian sport. Penny offers experience to help guide ‘mid-life’ riding students with any challenge in or out of the saddle. 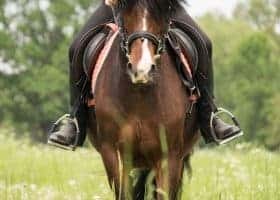 Is Intelligence or Wisdom more Useful with Horses?